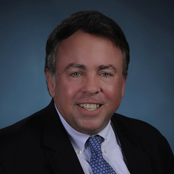 John R. Mousseau, CFA, joined Cumberland Advisors in 2000 and serves as an Executive Vice President and the Director of Fixed Income. In addition, Mr. Mousseau is a portfolio manager for municipal bond investments leading his team in portfolio construction, trading, and research for tax-free and taxable bond accounts. Mr. Mousseau has over 30 years of investment management experience. Prior to Cumberland Advisors, he was the Director of Municipal Bond Investments for Lord Abbott & Company. He also worked for Shearson Lehman Brothers and its predecessor firm, E.F. Hutton. His comments and analyses have appeared in The Bond Buyer, Barron’s, The Wall Street Journal, Bloomberg, Forbes, The New York Times, the San Francisco Chronicle, and the Newark Star-Ledger. Mr. Mousseau has appeared on Bloomberg TV and Bloomberg Radio, Reuters, and CNBC for commentary on fixed-income markets. He has been a speaker at various industry conferences, and a guest lecturer at Florida International University (FIU). John Mousseau holds an A.B. in economics from Georgetown University and an M.A. in economics from Brown University. He is a member of the Philadelphia Council for Business Economics (PCBE), the National Federation of Municipal Analysts (NFMA), the National Association for Business Economists (NABE), the Washington Association of Money Managers (WAMM), the National Economists Club (NEC), the New York Society of Security Analysts where he served on the society’s High Net Worth Investors Committee, and the Tampa Bay chapter of the CFA Institute. Mr. Mousseau is a past chair of the Municipal Bond Buyers Conference and has served as an instructor at the New York Institute of Finance and Bond Market Association. He resides in Sarasota, Florida and is active in alumni affairs at Georgetown University. He was involved with the Rotary and YMCA in Maplewood, New Jersey, and is an active member of the Sarasota Southside Rotary Club.